Fantastic news for anyone who uses planes: Crossrail is coming to Heathrow Terminal 5. Terminal 5 was conspicuous by its absence from proposed Crossrail maps; instead these included two Heathrow stops: one for Terminals 2 & 3 and the other for Terminal 4. Well, those maps will now have to be changed: Terminal 5 will likely branch off from Terminals 2 & 3, adding another terminus station for Crossrail. Don't get out the champagne quite yet; being announced so late in the day, Terminal 5's Crossrail cherry will be popped a little later than its Heathrow counterparts. 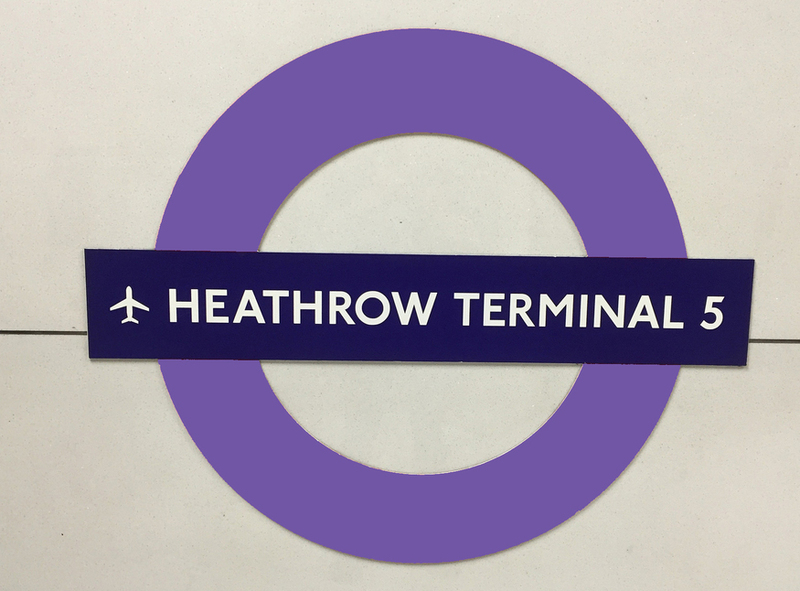 Crossrail will serve the other Heathrow terminals from May 2018, but will only make its way to Terminal 5 in December 2019. Still, better late than never. This is all excellent news after some thought there was bad blood between Heathrow and Crossrail, when the High Court ruled in Crossrail's favour against Heathrow earlier this year. The airport was trying to charge Crossrail for using track that Heathrow had built. Currently 18 trains connect the airport to central London per hour; with this extension, the number will be upped to 22 trains. Crossrail has been a wildly ambitious project from the start, and the powers that be don't seem completely satisfied with bringing the service to Terminal 5. A feasibility study is under way, looking at the possibility of bringing an extra two trains an hour to the terminal. Heathrow CEO John Holland-Kaye says: "This agreement is a big step forward. Together Heathrow, TfL and the DfT are working together to boost rail connections to the UK's hub, giving our passengers more choices to travel sustainably between Heathrow and London. "With 22 trains per hour, an ambition to add even more services and easy to use Oyster and contactless ticketing, Heathrow will be at the heart of an integrated transport network and our passengers will reap the benefits."